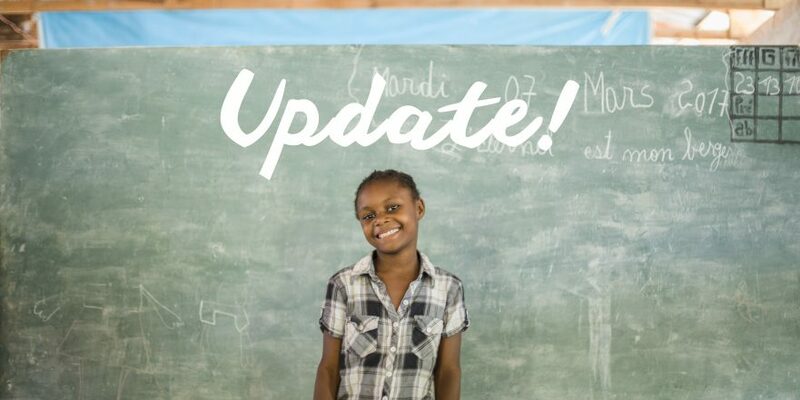 Check out this update from our good friend Jen Ayres from one of Monarch’s church partners! Our team of 7 had a very fruitful trip to Monarch, we truly feel that the insights gained from the community on this trip show incredible promise. We feel that our relationship with the community of Monarch has become very strong. They know we love them, and we know they love us. When we arrived on a Saturday morning, we had a very long and direct conversation with the leadership council (see above). We are very impressed with their vision and passion for the future of their community under Lenio’s wonderful leadership. While they are very pleased with the progress thus far, there are still areas that they need some help with. The 4 they outlined for us are: education, agriculture, economical development, and churches. Sponsorship continues to be a real need. Between the 4 schools, there are close to 50 children who need sponsorship and a shortage of teachers. Monarch has established their own youth council! It consists of future leaders of the community ages 16-25. 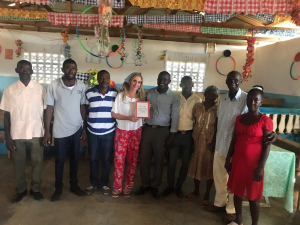 The leader of this group, Jean Limanes, is a great example of an older person with lots of promise who has benefited greatly from the sponsorship program, even though he is not a young child. With this support and encouragement, he is flourishing as a leader. His gifts and talents are being put to great use in the community, and he is eager to help grow their vision. We did a lesson with the youth council where we encouraged them to identify their gifts and talents. They wrote their talents on index cards, and we translated them to English on the other side to encourage language exchange. We talked about how God gave us individual and unique gifts and talents and it is up to us to use them to help each other. Those of us who sponsor children were able to meet and spend some time with them and their families, which was truly a blessing to us. Hearing about how well they are doing in school, and hearing the hope in their voices for a better future was inspirational. Those on our trip who don’t already sponsor children are in the process of getting on board. Some of us who already sponsor children are considering sponsoring additional children. We hope for the opportunity to share our experience to other members of our church community to encourage more sponsorship. We heard many testimonies of how helpful the Business Startup Training program was for the community members who participated. Their businesses are improving with time. The two most helpful concepts they learned were to not sell items on credit, and to save business profits for future needs. Instead of extending credit, business owners can donate 10% of their goods to their neighbors. Business owners are saving up to 20% of their profits, which makes them feel more secure. There is also a business which presses sugar cane to make syrup, but the mechanics are slow and powered by oxen. Some sort of motorized mechanism for this press would increase production greatly. When the possibility of additional BST classes was mentioned, there was a standing ovation. Lenio would like to see all members of this community take the BST. There is a great need for an irrigation system for their community gardens. The land is good for planting, with good soil, but the lack of rain is a problem. Crops that were planted get wasted if there isn’t enough rain. Our retired engineer has provided a basic plan for irrigation that will draw water from the nearby river using a pump that doesn’t require electricity. This would help tremendously, at a relatively low cost. 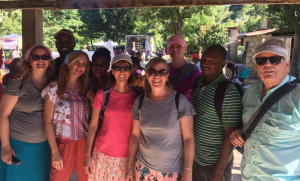 Visiting the homes of those who took the BST last year and praying over them, their families and their businesses was the highlight for many of our team members. All in all, this was a fantastic trip. The relationship is stronger than ever, and we as a team and each of us individually grew so much in faith. 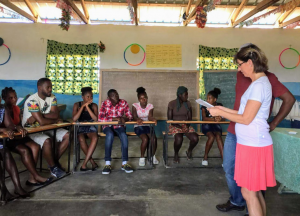 Many of our team members found purpose in their calls to join this mission, tapping into un-recognized gifts and talents that God has called us to use for our neighbors. 1 Peter 4:10 rang true throughout our journey, and we carried it home with us to use in enhancing this mission as well as with our local mission field in Baltimore.